Developing countries intend to suggest the world community a new format of response towards global challenges. In the end of June 2013 Kazakhstan, which has launched an interactive platform G-Global, intends to sound the recommendations for the leaders of the Great 20. They were developed under the results of the VI Astana Economic Forum (AEF) and the World Anti-Crisis Conference (WACC) with the participation of the representatives from 132 countries of the world. 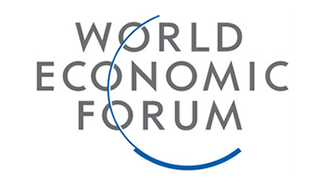 The dialogue in the capital of Kazakhstan, which has already become a tradition, is opposed by some experts to the Davos Forum. This year the list of honorable guests of AEF and WACC includes 35 acting and ex-ministers, 10 Nobel Prize laureates and more than 40 heads of international organizations, corporations and companies. They participated in 73 events, arranged within three days, between May 22nd and 24th. The final of the Forum was the dialogue of the Leaders “Assurance of Stable Economic Development in the Format G-Global”. Today the world is divided into several groups of global management. These are “G20”, “G8”, “G77 and China”, “Bretton-woods Institutions”, united in single legitimate format of the UNO. According to the initiators, not all the countries are equally represented in these unions, and that is why not all of them participate in Global decision-making. Kazakhstan being an active member of many big international unions, represents a new format of international cooperation as “G-Global” project. From the moment of establishment in January 2012, the information-communicative Internet-platform of the same name as attended by more than 3 million people from 160 countries of the world. The given virtual platform suggests radical extension of the number of participants for the search of solutions for the modern global challenges. By this the focus is given to the main issue of care for the whole world community: assurance of balanced worldwide economic growth. Under the results of the forum in Astana the Astana Declaration was adopted, in which the main directions of the World Anti-Crisis Plan shall be listed. Together with that under the results of the forum the recommendations are being developed, which shall be given to the level of G20 decision-making during the Summit of the member-states leaders (to be held September 5th – 6th 2013), of G-8, International Monetary Fund, World Bank and UNO. First of all in the preliminary variant of the recommendations (underlining, that the final version shall be developed in the end of this June) the focus shall be given to the issues of the effectiveness of economy regulation. In this context especially important it is to establish a multilateral trade post-crisis system. Elimination of barriers and successful development of regional economic integration is an obligatory condition to assure economic growth, investments and employment. Energy compound of the contemporary crisis, connected with disbalance of markets and indefiniteness prospects of alternative energy, is a significant factor of blocking of international recovery trends. According to the participants of the AEF, efforts of the “Group of 20” should be directed to create the stimulus to enhance energy efficiency and “green” development, as well as for wise regulation with the objective to develop energy infrastructure. By the way, in this context Kazakhstan which in 2017 shall welcome the participants of the international EXPO exhibition, suggests to create the energy club “G-Global” as the institute for the development of the issues on pure energy. Also the issue about the need of investments increase into the world agricultural production and social protection of people attracts attention. At individual sections of the Forum considered was the subject of food problem solution. According to the participants of the AEF, it is necessary to develop and approve during the G-20 Summit an extended action plane to solve this issue. The objective is to increase food production in the oncoming years for 70% in order to feed the people all over the world. This is the key matter for any country, especially for G-20 states which comprise 80% of the total food production in the world. The states of the “Great Twenty” it is urgent to improve the system of monitoring and information exchange about the state of food market, forecast scope of demand and supply on food to prevent its deficit, informing of market’s agents, and in case of the need, to adopt measures of interventional regulation of the market of agricultural raw materials and food. Of course, we can't ignore the subject of financial architecture which is the red line of all forums. The AEF participants suggest increasing the responsibility of the issuers of reserve currencies, the countries of the Great Twenty are suggested specify definite liabilities, which should be exposed towards the issuing country, claiming the currency for the world reserve one. These include – maintenance of the currency stability and observation of specific restrictions on the amount of a state debt and the balance of payment deficit, removal of currency and trade limitations, observation of the demands on assurance of the demands on provision of transparency of implemented by them mechanisms to assure the emission of their currencies. The AEF is not just a political dialogue. This platform is observed also as the place for business-cooperation. Under the results of the business-forums VI AEF about 80 treaties and memorandums on further cooperation for the total amount of more than 2.7 billion USD were concluded. At the moment at the info-communicative platform of G-Global they have already started the preparation of the VII Astana Economic Forum and II World Anti-Crisis Conference and discussion of their directions in virtual regime. 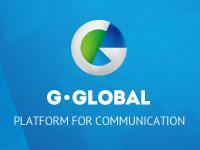 And between June 1st and July 1st 2013 the platform “G-Global” holds the contest for the best subject of the following Astana Economic Forum to be held in May 2014.